Ryan Anderson, Bob Benson, Mike Bowen, Debby Cheung, Tony Cox, Kassie Dittfach, Chad Durand, Patrick Dutton, Bobbi Falde, Quin Kehren, Linda Kohrs, Lauren Lowther-Welsh, Ryan Lucas, Ryan T. Marking, Anita Matson, Erika Meincke, Jessica Meyer, Dan Ober, Trina Ohde, Christopher Olsen, Angie Packer, Starr Petersen, Sara Rybarczyk, Gail Riemersma, Eric Schmitt, Anthony Spano, Roger Sprick, Jeff Svihel, Mike Wachholz. 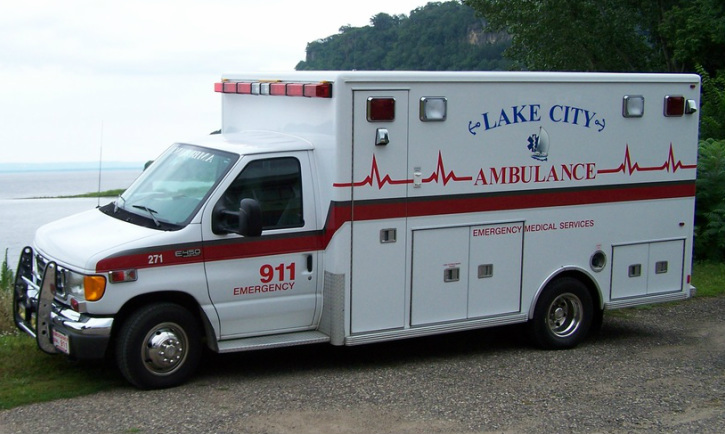 Lake City Ambulance Service is a progressive Part-Time Advanced Life Support Service. We have 4 Full-Time Paramedics, 7 Casual Paramedics as needed, 15 EMT-Basic's, One Full-Time director, and One Part-Time Administrative Assistant. The service covers about 208 square miles and runs approx. 700 calls a year. Calls include but not limited to medical calls, motor vehicle accidents, interfacility transfers from both Lake City and Wabasha Hospitals, and lift assist. Our service area is split between Wabasha County and Goodhue County. We have 3 Ambulances, 2 Emergency Response Vehicles, and a Disaster Trailer. We have our own training center and we teach CPR, EMT classes, PALS, ACLS, and CEVO. We use the Lucas2 CPR device that does CPR for you. We have a Community AED program that we have placed 24 AED’s throughout the community in Business’s, Church’s, and Schools. Recently we ordered a new Ambulance to replace one of our aging rigs. We also just ordered new monitors and will be getting the Zoll X-Series. Also, we are currently in the planning process for a new ambulance garage.